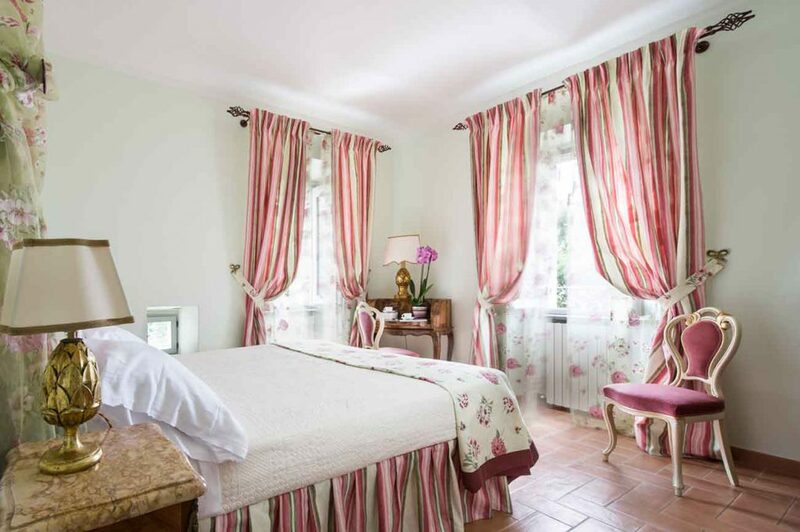 WHO HASN’T DREAMT OF SPENDING A NIGHT IN AN AUTHENTIC MEDIEVAL CASTLE, BEING THE LORD AND LADY OF A MANSION? By choosing a Castle holiday, you can enjoy its Opulence, Heritage and Historic appeal, together with total Privacy and Personal Attention, and nothing can compare with this experience. 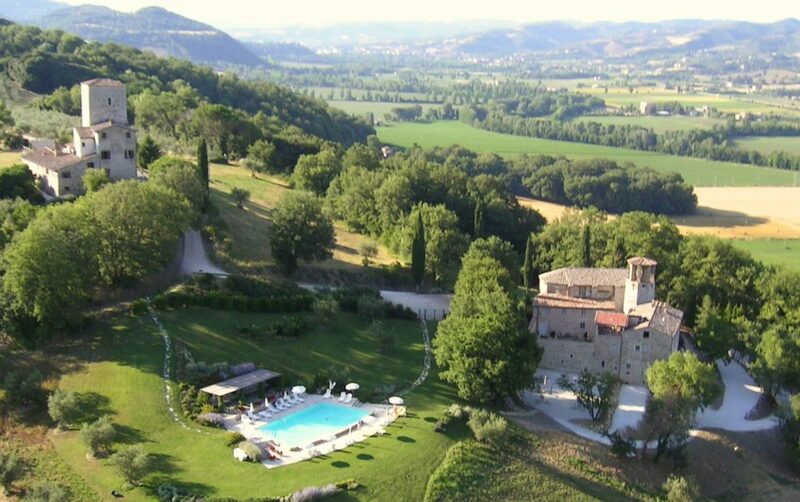 The Pieve San Quirico castle is the most exclusive vacation home to enjoy a holiday with a family or friends. The castle provides comfortable accommodation for 15 people and it is fully staffed. For large groups, one or more apartments set in the nearby medieval Tower can be rented in addition to the castle (15 extra beds). 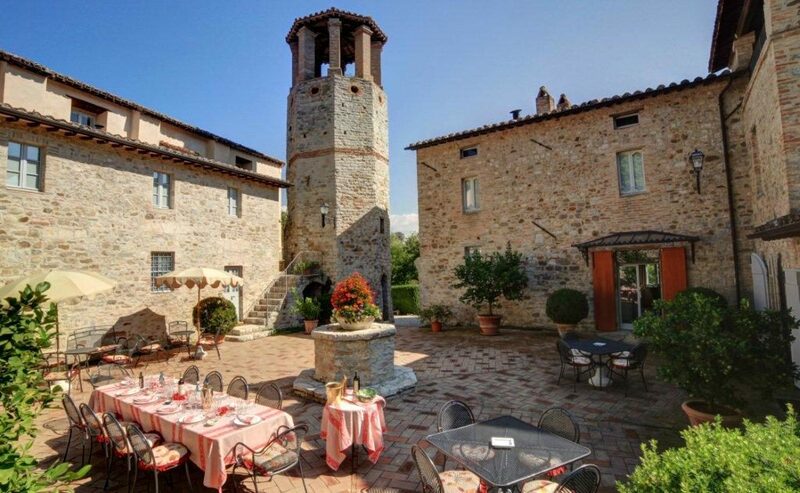 The main house, Pieve San Quirico castle (11th century historic house), is a stylish medieval castle, surrounded by a courtyard with an octagonal tower, beautifully renovated and made into a private house. The early settlement of the castle dates back to the 11th century. In the 13h century architects of the court of emperor Frederick II of Swabia enlarged it and made it as it now appears. It has been restored according to the highest standard of renovation and design to createa luxury villa with 7 bedrooms and 9 bathrooms with breathtaking views around it and in total privacy. Counts Giunta Tremi invited the best architects and designers to renovate it, highlighting its architectural beauty, while preserving its historical look. 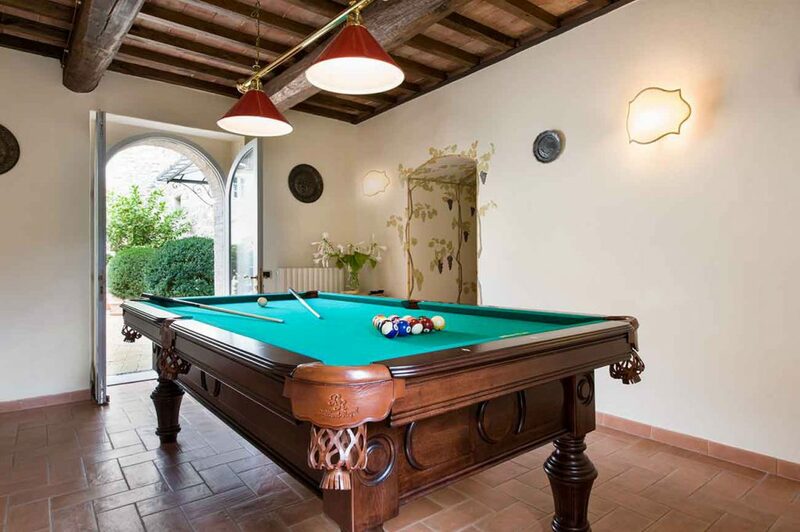 The beautiful interior decorations and furniture is matched with modern equipment and cutting-edge technology from wireless Internet connection, to whirlpool bathtubs, air conditioning, ice maker, professional Nespresso coffee machine and billiards. All bedrooms feature AC, telephone, safe box, mini fridge, hair drier, ensuite bathroom with bathtub + rain shower, fine fabrics and luxurious drapes. Each bedroom suite having its own decorative theme. 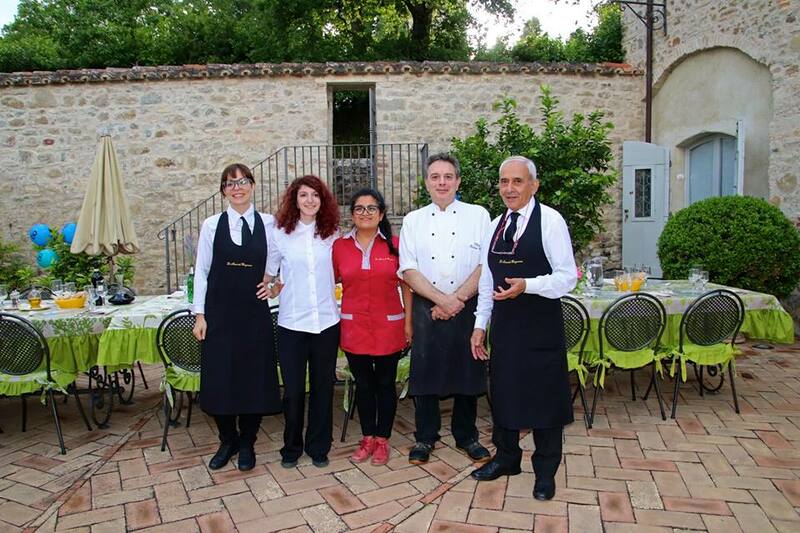 Outside you find a medieval large courtyard surrounded by lemon trees perfect for candlelight dinner and many sitting areas. The 5,000 sq.m manicured gardens which surround the castle were created by the famous Tuscan landscape designer Alberto Margheriti. They are embroidered with flowers (roses, santoline, perovskia, and thyme), pomegranate and cherry trees, with cratecus, laurel, rosemary and lavender bushes, oak and olive trees, that are continuously in flower. 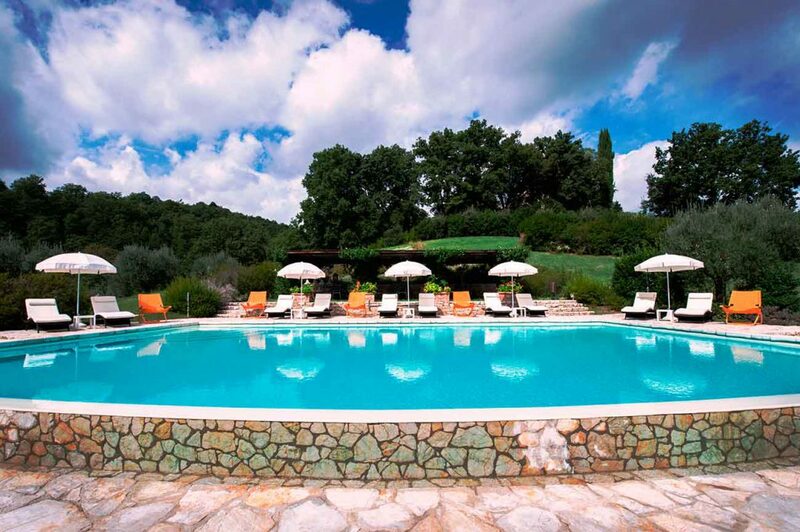 Numerous seating areas offer fabulous views over the hills and the Tiber valley. Other features are the large panoramic infinity saltwater pool with fantastic hillside views (rectangular fan-shaped, in white stone. 120 sqm width, 148 cm depth; length west side: 13 meters, length east side: 15,60 meters, width: 7,5 meters), the botanic gardens with aromatic plants and a vegetable garden with fresh vegetables. A broad wooden shelter, surrounded by jasmines and roses, complete with stone barbeque, is the ideal place for a lazy lunch or romantic evening dining. Finally, table tennis, bocce ball court, billiards, mountain bikes and children playground will keep you entertained. 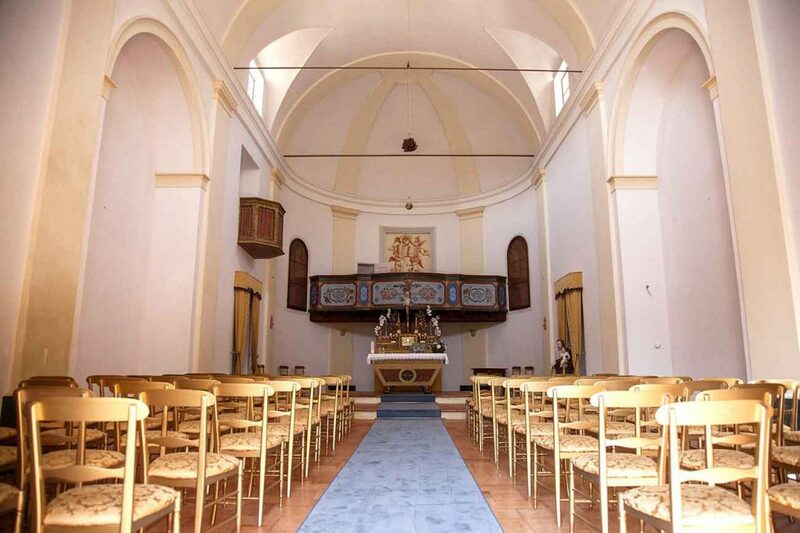 There is even a beautiful church perfect for tying the knot should the fancy take you! The Castle is fully staffed: daily housekeeping , breakfast service, full gardening and pool maintenance services are included in rates. Lunch & Dinner (professional chef), SPA treatments, Yoga lessons, car with a driver and many additional activities are available on request (to be pre-booked). Four apartments set in the Tower (11th century historic residence), just up the hill, are available for large groups upon request (15 extra beds). 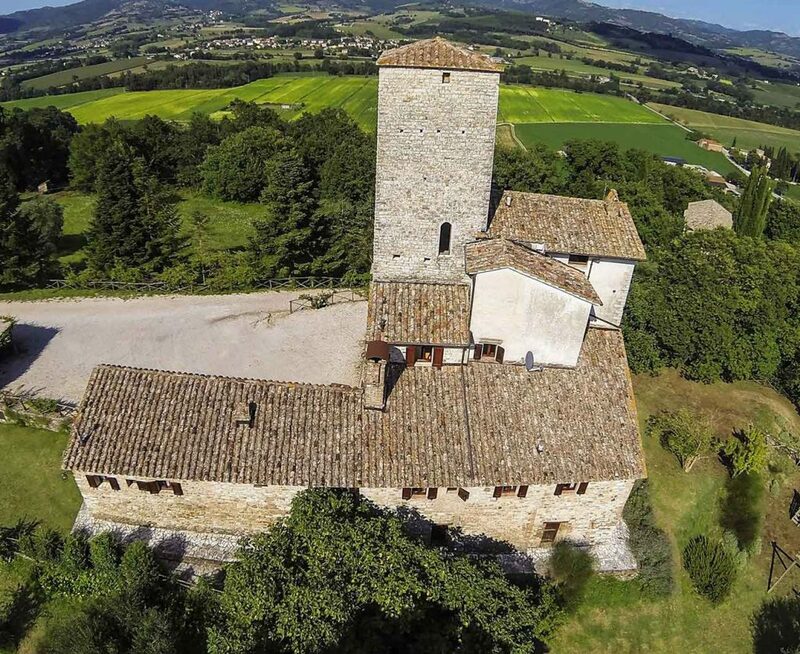 Tower can be rent in addition to the Pieve castle only.